It's Miles' and Niles' final year at Yawnee Valley Science and Letters Academy, and the Terrible Two have one goal: an epic prank. Something big, something brilliant, something that will leave a lasting legacy at their school. It should be easy-peasy for these experts, especially now that their principal has gone from archnemesis to pranking protege. But their smooth sailing gets downright bumpy when they find out that the new superintendent is none other than Bertrand Barkin, their principal's father ... and their sworn enemy. Now that Former Principal Barkin is Acting Superintendent Barkin, he has a first order of business: his long-promised revenge on the Terrible Two. 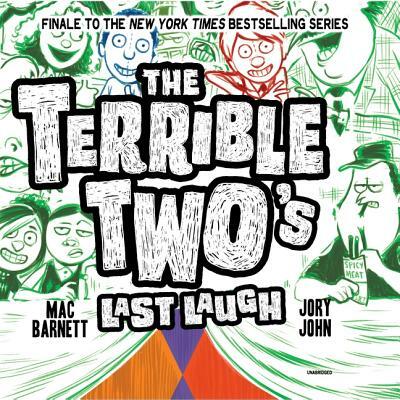 This rollicking finale to the bestselling series by Mac Barnett and Jory John will settle once and for all who-between quick wits and powerful fists-will have the last laugh.